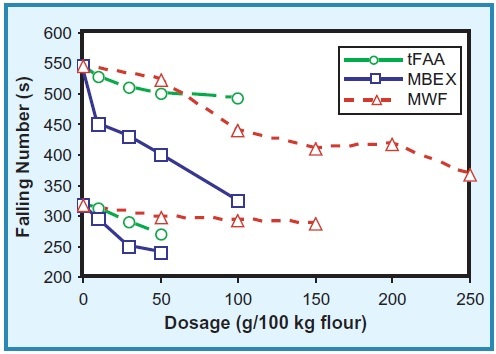 Determination of the rheological properties of a dough is part of the quality assessment of flour. The rheological properties depend to a large extent on wheat variety, crop properties and the milling process. Provided that a sufficient supply of wheat with different rheological behaviour exists, the miller will be able to adjust the desired properties by blending different lots. Nevertheless, fine tuning will require using additives such as enzymes or oxidizing agents. If raw material of adequate quality is unavailable or in short supply, more extensive flour treatment will be required. Although the author supports the idea of adjusting the rheological properties, he also insists that we should not believe in numbers only; ultimately, the properties have to suit the flour user's requirements in a chosen application. 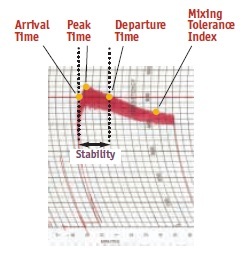 High Falling Numbers can be reduced by adding α-amylase. 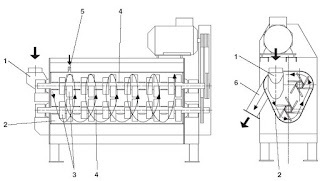 Since the conventional method of determining the Falling Number includes heating almost to boiling point, a conventional heat-labile fungal amylase will be destroyed too early to have any serious effects at reasonable dosage. Cereal amylase is slightly more heat resistant, so it will have a noticeable effect on the Falling Number. In fact this is well known, since flour from sprouted wheat (high endogenous amylase) has low Falling Numbers. Cereal amylase can also be added in the form of malt flour or malt flour extracts from (sprouted and then malted) wheat, barley or rye. Many bacterial α-amylases are fairly heatstable and will therefore be active until the viscosity of the slurry. 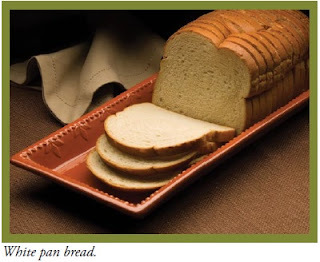 But they would also survive baking and result in severe damage to the crumb structure. Fig. 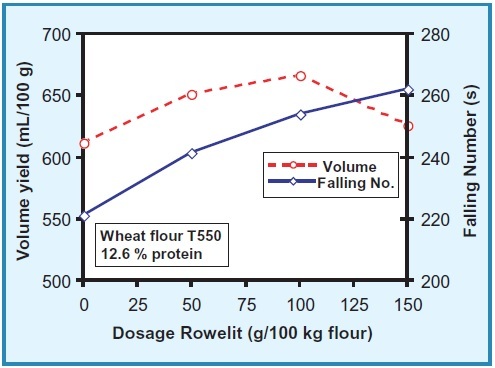 135 shows a comparison of the effects of malt flour, malt extract and a fungal amylase with slightly increased heat stability on the Falling Number. The amylase from A. niger used in this test has slightly better heat stability than a common amylase from A. oryzae. As far as the improvement of baking performance is concerned, fungal amylase has a better effect than is indicated by its influence on the Falling Number. In the cold dough there is hydrated damaged starch on which the enzyme can act, creating yeast food and releasing water; this lowers the viscosity of the dough and improves hydration of the gluten. All this will result in improved baking results. Due to the sophisticated standardization process in the production of microbial amylase, the results will be more predictable than with cereal amylase from malt flour. Low Falling Numbers can be raised by inhibiting the cereal amylase by means of a reduction or increase in the pH, using acidic or alkaline buffering agents. Fig. 136 also shows a good example of the fact that although the rheological property "Falling Number" can be increased by adding more improver, the baking properties will not improve correspondingly. Although more specific inhibitors of cereal amylase exist, they have not yet been developed into commercial products. One reason is that they also inhibit human digestive amylase.